If my neighbors were looking out their windows, they must have thought that I was somewhat “off balance.” Following a drizzling rain, I noticed these mushrooms growing in my yard, not at all unusual for this time of year with frequent rain. In an effort to photograph them before the lawn maintenance crew came to cut the grass, I grabbed my camera, laid down a beach towel and got way down low to shoot a few frames. 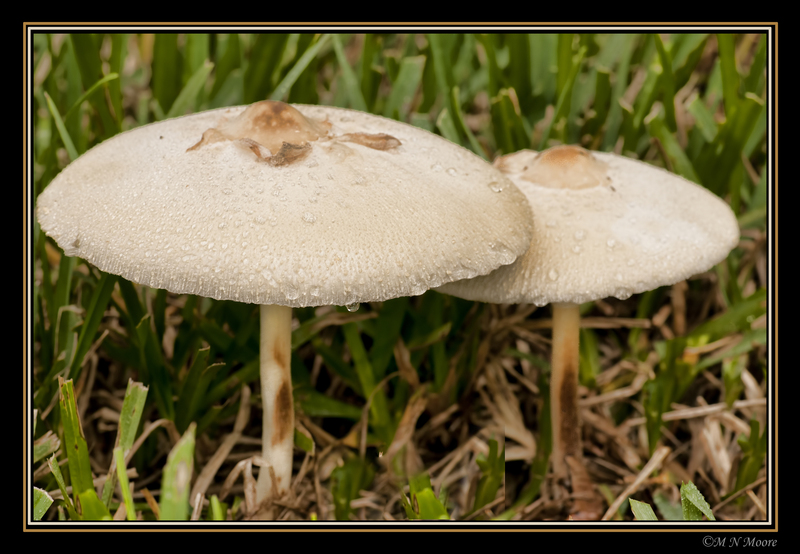 Categories: Fungi | Tags: Fungi, Lawn Mushrooms, Wild Mushrooms | Permalink.